The first race in the Due North Race Series is set at the beautiful riverside location of Burnsall, taking in several sections of the Dales Way footpath. Climbs rewarded with 360 degree views of the Yorkshire Dales. Riverside paths, stone tracks and open fields provide a great mix of terrain suitable for those new to trail running but also plenty of challenges and interest for the more experienced trail runner. A perfect introduction to the Due North Race series. 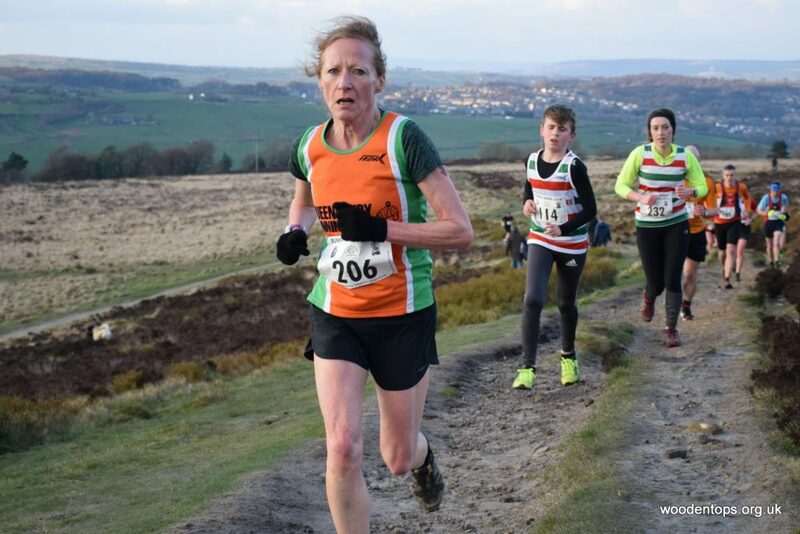 Well done to Vicki Bean for taking on this Half Marathon featuring over 1500 feet of ascent over the distance. Vicki ran a fantastic 2:43:18 (strava). Congrats to Andrew Tempest Mitchell on his PB at Horton this morning. Well done fella great stuff. Well done to Richard Newberry, Stacey Cleal and Joanne Fortune on their PB’s at Shroggs this morning, great running with Richard sub 20, Stacey sub 22 and Jo Jo sub 25. So as races go, the 10km is a race of 2 halves, the 1st 5km is an uphill slog through Bradshaw, up to the Ragalds, taking a left to climb yet again up the aptly named Perseverance Road. As the road flattens out, the 5km marker comes into sight which means only one thing it’s all downhill (yippee!!!) where you can really let go and make up for lost time. Not really a PB course but still very enjoyable and well organised. Tom didn’t like the bit about it not been a PB course and only went and got one along the course record and 1st place. AWESOME!! Awesome racing guys and gals, well done. 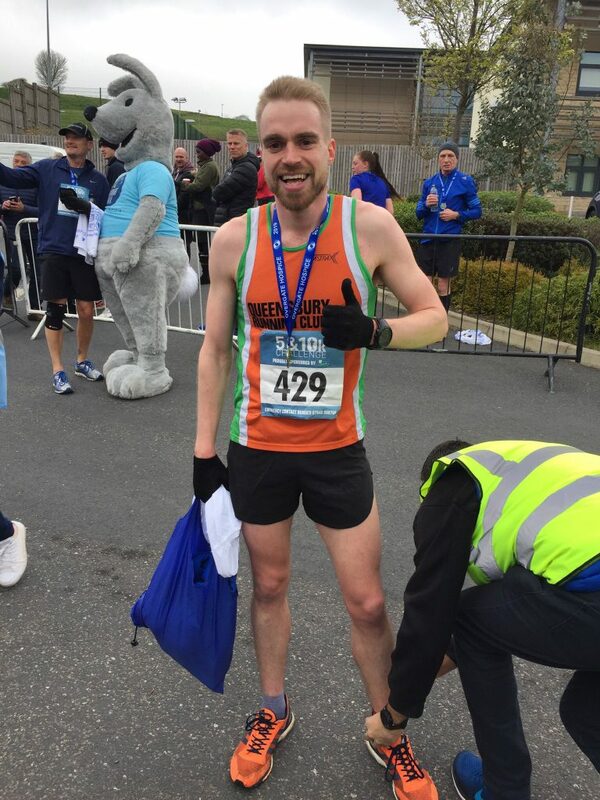 Starting at Baildon Cricket and Rugby club this half marathon takes you through Esholt, into the water works and out along a woodland path before heading back onto the canal and into Saltaire, taking a right over a foot bridge crossing the river Aire and on to the 2nd drinks station. At 8 miles things start to get serious as the route takes a steep climb back up to the top of the moor and onto the 3rd water station, taking a left at the top and along some boggy paths. At 11 miles the route passes through the sandy gallops of Harvey Smith’s grounds, down a gravel track leading us back the main road, a final climb before the 60 metre flat finish. (or so this is what last years report said). Awesome racing from you all on a tough half marathon. 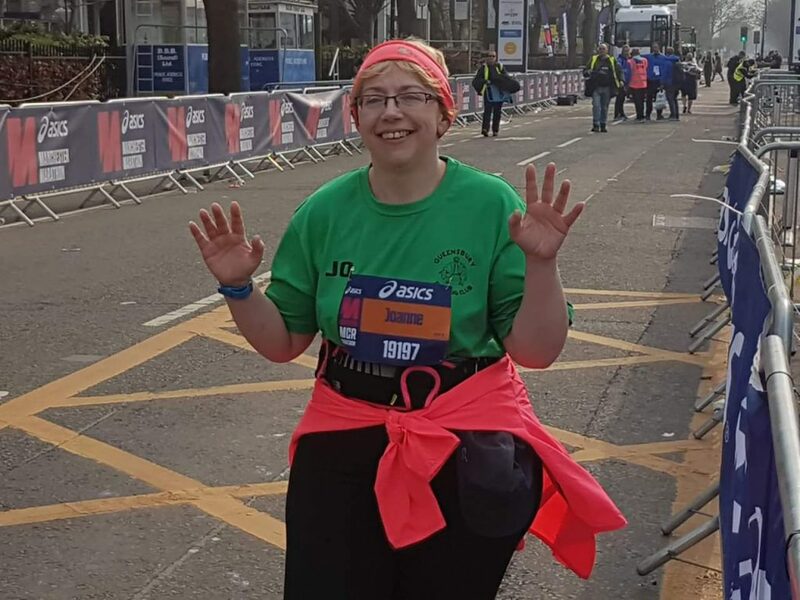 Massive congratulations to Jo Punt for completing her 1st marathon in Manchester last weekend, having had no running experience since before joining the club she has progressed over the years from 5k’s up to the maratyon distance. A truly inspirational achievement and proves how far you can go if you put in the hard work. Well done from all the club Jo. Congrats to Caroline Whelan on her new PB at Brighouse this morning. Great running keep it up. Congratulations to Helen Trevisani and Jo Bottomley on their PB’s at Horton Park this morning.